In point of fact *at least* 250 individuals have made their marks on the Lesothan digital landscape in the Rural Task alone. From a collection of NGOs, a Local Authority, Local Schools in Lesotho, in Ireland, in the US and Canada, OSM.ie, from towns, groups and planners around the world and even his Excellency Paramente Phamoste (who has quite literally thrown his hat into the mapping arena that is Fingal County Council Chamber) we have all made a real map. You have made a real map. 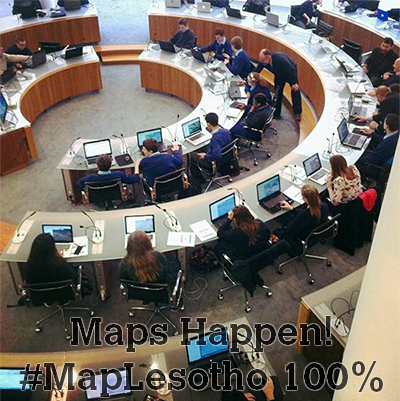 We are #MapLesotho. After a series of successful and fun mapathons, last night, as we pinned our modes, lines and edges, tagged our features and marked our tiles as done, we waited on a lone mapper labouring on tile #2057 – up in top left of the task buried in green and yellow tiles – a lone tile crying out to be mapped and a mapper working his craft. We tweeted with fervour, egging each other on, waiting, waiting, waiting. Sharing our excitement, our impatience, holding our collective breath until finally with a click – @DaCor marked the tile done and we hit a major milestone: 100%!!! – the Lesotho Rural Task has been mapped! The graphs ticked over and the wee thermometer on the Task Manager doesn’t lie. We all pulled together and made it happen. 100% Mapped! It feels great. With a massive push of 7% at last Friday’s marathon we pushed to within 3% of our goal. And then we all pushed on and wish wide contributions we made it happen. We map with varying levels of detail, some painstaking, some clever, all methodical and all make our own mark. We map in different guises, with funny handles, at different times and in different places – but we all map together. We sit in front of our own screens and interpret the landscape. Sometimes we have the pleasure of coming together in physical surroundings and sharing our passions and enthusiasms. Wherever we are though we never map alone. In the spirit of end of year targets, don’t we all love those? 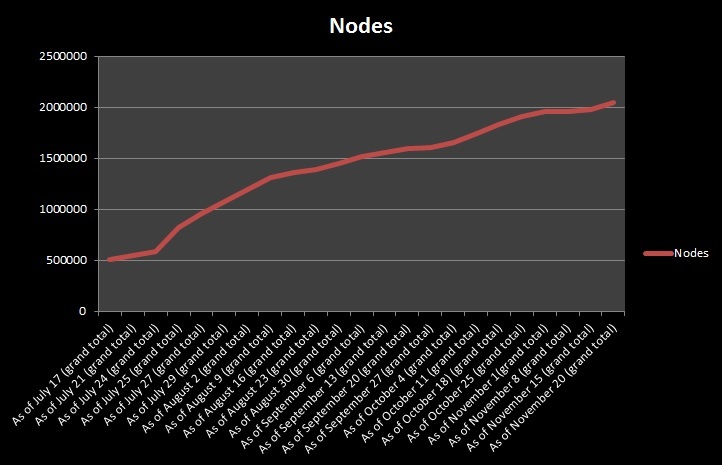 We want to break the 90% barrier before the end of 2014! Can you help us? 5 Days. 2% per day. Can we do it!? Spread the word! So please steal some time from your employer / study / family this last week of the year and push#MapLesotho over the 90% mark for the new year. There will be a Mapathon taking place on the 16th of January. More details to follow in the coming days.